In the wake of the shifting security environment, and with the emergence of new security threats, the protection of overseas citizens and interests has become a diplomatic priority for Beijing. While much attention has been given to the People’s Liberation Army’s (PLA) role in managing security needs abroad, few observers have taken an interest in the role of Private Security Companies (PSCs). With Beijing’s global commercial footprint further expanding under the Belt and Road Initiative’s (BRI) umbrella, those actors have assumed a growing role in filling the security void, especially in lawless and volatile areas. Beijing’s international economic footprint has grown exponentially in recent years as evidenced by the presence of 30,000 Chinese companies overseas. A large majority of workers are concentrated in an “arc of crisis” stretching from the Indian Ocean to the Horn of Africa, where security threats are reportedly common. The 2004 attacks that resulted in the death of 11 Chinese workers in Afghanistan was among the first manifestations of a trend that would only intensify overtime. Between January and March 2012 alone, a total of 56 Chinese workers were abducted. Those incidents served as a catalyst for change in China’s foreign policy, materialized by the enshrinement of the concept of “protecting overseas nationals” in the priority list of the 18th Party Congress and a strategic reassessment of Beijing’s longstanding principle of non-interference. In recent years, the PLA and its Navy (PLAN) have taken a greater part in anti-piracy operations to protect Chinese merchant vessels and in the carrying out of mass overseas evacuation drills. During the 2011 Libyan crisis, for instance, China successfully evacuated more than 35,000 of its nationals, demonstrating a remarkable readiness and strong power projection capabilities. While recognizing the important role played by the PLA, there is no denying that its capabilities are limited by diplomatic constraints. In many places a Chinese military presence would have wider geopolitical and security implications. It would raise suspicion, create tensions, give more salience to the “China threat” narrative, as well as increase Beijing’s prospects of being branded imperialistic. Chinese SOEs’ tend to oversee those considerations and place too much faith in Beijing’s support and assistance. Engagement from the Chinese government, though, largely remains contingent on the breadth and the nature of the threat. Crisis usually engender a large response but smaller-scale incidents are unlikely to trigger any military intervention. In the latter case, Beijing has shown a preference to rely on host-nations security forces, although in many cases political instability and corruption undermine their capabilities. The changing security paradigm has led Chinese firms to consider private security companies as a new option to secure their overseas personnel and assets. In 2009, a new regulation legalized the use of PSCs in China and opened the market to foreign investors. Since then about 5,000 Chinese private security companies have emerged to provide a wide range of security services. While the majority of those companies provide security services at the domestic level, a small leading group operates overseas. Africa has been a testing ground for many of them, with companies such as DeWei or Hua Xin Zhong An conducting anti-piracy mission off the coast of Somalia. However, the advancement of the Belt and Road Initiative (BRI) allows Chinese PSCs to explore untapped opportunities. 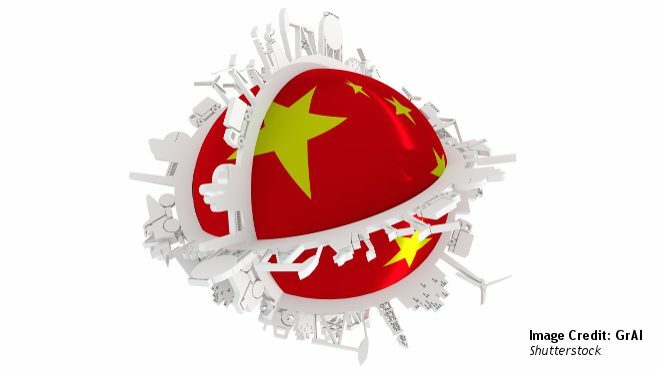 Launched in 2013, the BRI has become a cornerstone of the Xi government’s foreign policy, designed to facilitate economic cooperation and connectivity between China 65 countries. Despite its merits, the BRI, which ventures through volatile regions, has brought Chinese investments into close proximity with a wide range of security challenges including political unrest and local opposition. Therefore, private security companies are an interesting option to fill the security vacuum surrounding Chinese personnel and assets. Chinese PSCs are more attractive in terms of price since they are around ten times cheaper than foreign contractors. National private security firms might also appeal more to Chinese SOEs because of their shared cultural background. DeWei, for instance, has been hired by the China Road and Bridge Corporation to provide security for the $3.2 billion Nairobi-Mombasa railway and by the Chinese Poly-GCL Petroleum Group Holdings for its $4 billion LNG project in Ethiopia. A Stand-in for the PLA? Due to the relatively recent legalization of the market, most Chinese PSCs still lack the professionalism and extensive training to assume a protection role on the New Silk Road. Moreover, the Chinese Private security market is hindered by provisions in the Chinese law. Although with some exceptions, Chinese security contractors are proscribed to use lethal weapons. Their competitiveness and capabilities are thus greatly reduced in comparison with their international counterparts. While, the new trend of Sino-foreign joint ventures, might alleviate some of these shortcomings, this type of cooperation remains rare. Since the BRI is viewed with suspicious eyes by many countries, including India and the U.S., the use of PSCs could stir up controversy. Some might see them as an extension of the PLA, raising concerns about possible hidden agendas. After all, most companies recruit veterans from the PLA or other state security organs; and the blurred line between private and public sectors in China, allows the national security apparatus to keep a firm grip on security companies that are “private” on paper. Others might fear the Chinese government will use PSCs as a layer of plausible deniability in case of conflicts, in the same way Moscow has been doing. Ultimately, the use private security firms does not wholly divert the risks involved in safeguarding investment projects. The possibility of abuses, in particular deadly incidents between contractors and local populations, such as the ones witnessed in Iraq and Afghanistan, remains an important concern. The 2008 Montreux document and the ICoC may have posed undeniable legal basis to prevent such situations, but there is still an urgent need for a better regulatory framework in the private security market.